Nurse practitioner seems like an ideal job. It is easy to find a meaningful purpose in what you do, an average salary for this position exceeds $100,000 annually, and most people will do this work becasue that is exactly what they want to do with their life. But things are never only black or white. Job of a nurse practitioner presents a lot of challenges. In an interview for this position, you can expect to deal with difficult behavioral questions, questions that will examine your attitude to these challenges. What is more, hiring managers will add some personal and technical questions to the mix. Your answers to these questions help them to evaluate your motivation, goals, and your readiness for the job. Why did you decide for a career of a nurse practitioner? What would you if a patient asked you for antibiotics, and you knew that they did not need them? Imagine that a parent of a child complained about the healthcare the child receives in our hospital. What would you do? Try to approach this question from a perspective of patients, and local community. That means, you should say why you believe you can do a good job of an NP, you should talk about the value you can bring to your employer, and to people you will care for. 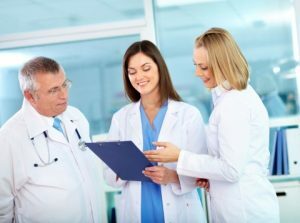 For example, you can say that you have all the strengths and skills that make from you a good doctor and companion, that your strong sense for responsibility and service makes from you an ideal person for this role. Alternatively you can say that you follow an example of someone–a person who motivated you to pursue career in healthcare. It can be a doctor from your family, it can be someone who helped you to overcome a difficult period in your life (health-wise) and helped you to build this dream of working as a nurse practitioner. You have obviously a plethora of options. You can work in a hospital, nursing home, health-center, you can even start your own practice. So why have you chosen this exact job, this exact place of work? Typically, our reasons are rather practical. We choose a place of work that is close to our apartment or house, a place we can reach easily. Or we opt for a vacancy that offers the highest salary, or great employee benefits. 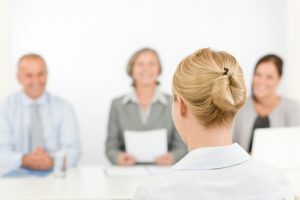 Mentioning any of that will be okay in your interview, but it won’t be the best possible answer. In a best possible answer, you should praise the employer for something–and state this as a primary reason for your choice. What can it be? High quality staff, or equipment they have in place. Great reputation of the facility. Their approach to innovation and medical work that stands out. Great locality and environment for either the patients, or the healthcare workers, or for both groups. Anything else that differentiates them from their competition. Remember that everyone likes honest compliments. Find something you can praise them for, and talk about it in your interview. In most countries, you have to work for six to twelve months (minimum) before you can apply for a nurse practitioner certificate (besides all other things you have to complete, such as your bachelor and masters degree). Bearing this in mind, once you apply for a job of an NP, you will already have some experience under your belt. You will always have something to talk about. But what should you talk about? The rule is simple: stay positive and enthusiastic, and show the employer that you know what it takes to work as an NP. You should explain where you worked, for how long, what your principal duties were, and how this all prepared you for a job of a nurse practitioner. What do you consider your biggest weakness when we talk about nursing work? Tell us something about your certification and studies. If you shall describe yourself by three words only, which words will you pick? Just like in any other interaction of two human beings, we experience conflicts in nursing work. 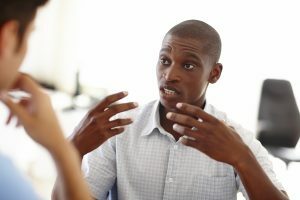 The key is to show the hiring managers that you know this can happen, that you experienced some conflicts, and have a full understanding (both rational and emotional) for the experience of the patient. Talk about the conflict in a calm and cheerful way. Show us that you did your best to serve the patient, that you always try your very best. Alas, it’s impossible to make everyone happy with your service. You should be aware of this, and the bad words you hear should have no impact on the way you treat the particular patient, or the next one you meet while practicing your work. A good answer to this question really depends on your philosophy, and attitude to curing people. In my opinion, a physician, or a nurse practitioner, should never prescribe antibiotics unless they are absolutely necessary. But we see this happening just too often–doctors listening to the patients. In the era of free information (WWW), people often know what they want to get before they even enter the medical practice. What they do not know though is that pharmaceutical companies pay people to promote their products on forums, and other other websites where people discuss their medical problems, and ask for an advice. Internet is full of such claims, but less than 1% of them is authentic. You should be aware of this as an NP, and suggest that you’d never prescribe anything to anyone just because they ask for it. When our child, parent, or friend ends up in a hospital bed, we wish only the best for them. The relatives of the patients will sometimes complain, and we have to understand them. Sometimes they struggle to cope with the situation more than the patients do. Describe a time when you experienced a conflict of your personal and professioonal interests. How did you get over it? 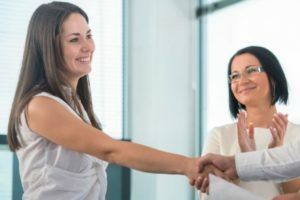 You won’t compete with many other job seekers in your interview, but you will still have to demonstrate your readiness for the job, and right attitude to work, patients, and healthcare in general. Practice makes perfect. Go through the questions once again, and try to come up with a good answer. And if you are not sure how to deal with the questions, or feel anxious, have a look at our Interview Success Package – it will make your life much easier in your interview.